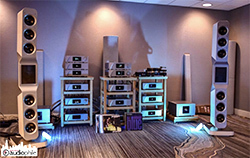 We will exhibit on the upcoming AXPONA 2019 High End show from 12 - 14 April in Chicago. 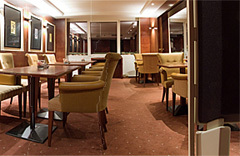 We are delighted to invite you in our room, which is the complete Club Lounge on the 15th floor. 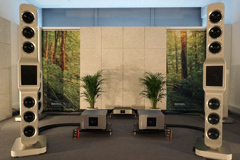 Herein we will demonstrate in a U.S. premiere our new Divin Noblesse loudspeakers. Our US distributor „Bending Wave USA“ is having a grand opening of their new facility and auditioning rooms on January 26th and 27th, 2019 in Davie Florida. During that time Oliver Göbel will also be present, in order to personally meet all interested visitors and to answer all questions. For more information please go to the Bending Wave USA website and contact them directly. 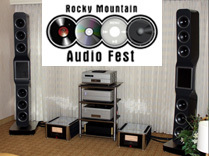 We are happy to let you know, that Lee Scoggins from parttimeaudiophile.com awarded our setup on the Rocky Mountain Audio Fest 2018 as number 1 in his TOP SIX SYSTEMS OF THE SHOW. Many thanks Lee, we really appreciate it. 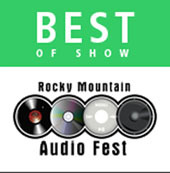 We are happy to let you know, that we won the „Best Sound of Show“ award for our presentation on the Rocky Mountain Audio Fest 2018 in Denver. 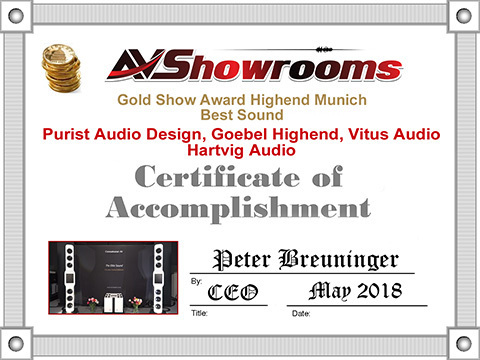 It’s really awesome to receive this award from the internationally renown AVShowrooms. Many thanks Terry and Peter it’s a great honor. 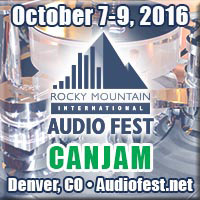 We will exhibit on the upcoming Rocky Mountain Audio Fest 2018 from 5 - 7 October in Denver USA. You are warmly welcome to visit us in the Iris room on the lobby floor. 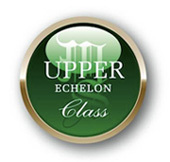 In an USA premiere we will show our Epoque Aeon Reference loudspeakers with CH Precision electronics, TW-Acoustic turntable and everything wired with our Lacorde Statement cables. We are happy to announce that we will soon unveil our brand new loudspeaker DIVIN Noblesse. This new Divin Nolesse will transfer the world wide unique merites of our DIVIN Majestic to a much smaller size. Be prepared to be amazed! As a world premier the DIVIN Noblesse will be soon unveiled on the 6th Audioexotics Super HiEnd show in Hong Kong from 7th till 8th July 2018. We are happy to announce that we won the „BEST SOUND OF SHOW“ award for our presentation on the Munich High End show 2018 of our Divin Majestic setup (room Atrium 4.1 / E115). 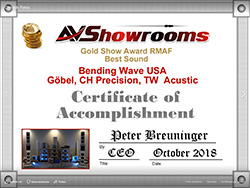 It is a great honor to receive this award from the internationally renown AVShowrooms. Many thanks Peter and Terry, we are deeply honored. We are happy to announce that we won the „BEST SOUND OF SHOW“ award for our presentation on the Munich High End show 2018 of our Epoque Aeon Reference setup (room Atrium 4.2 / F226). 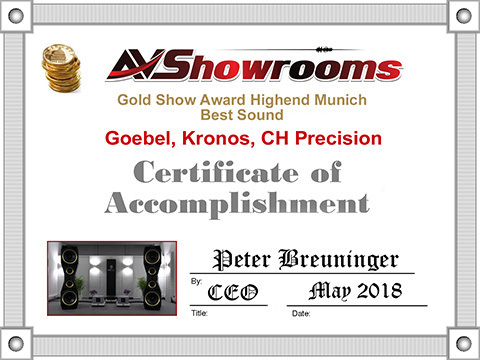 It is a great honor to receive this award from the internationally renown AVShowrooms. Many thanks Peter and Terry, we are deeply honored. Moiz Audio again made an outstanding sound and video recording of our Divin Majestic system during the Munich High End show 2018. Many thanks Mujtaba for your gorgeous and passionate work. We are happy to announce, that we won the „Best Sound of Show“ award for our presentation on the AXPONA 2018 from parttimeaudiophile.com. Many thanks Lee Scoggins, we are deeply honored. Another nice show report with great photos from the internationally renown editor in chief Edgar Kramer from Soundstage! 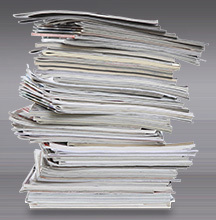 Australia, who published the Soundstage! Australia`s Favourite Exhibits and "Favourite 10“ of the 2018 Munich High End show. Many thanks to be part of this great report. 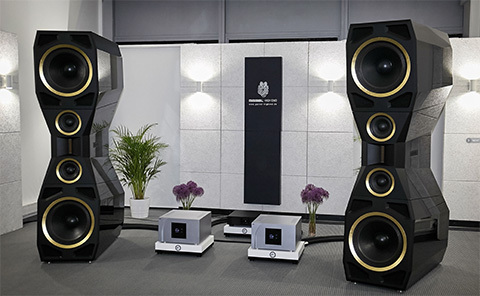 Jonathan Valin, the internationally renown chief reviewer from The Absolute Sound, published his show report (Loudspeakers $20k and up) of the Munich High End show 2018. 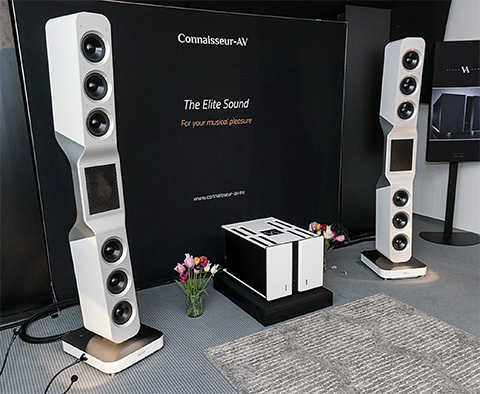 In the Cost-No-Object category he awarded both of our exhibited flagship loudspeakers, the Epoque Aeon Reference (room Atrium 4.2 / F226) and the Divin Majestic (room Atrium 4.1 / E115) as Best of Show contenders. Many thanks, we really appreciate it. 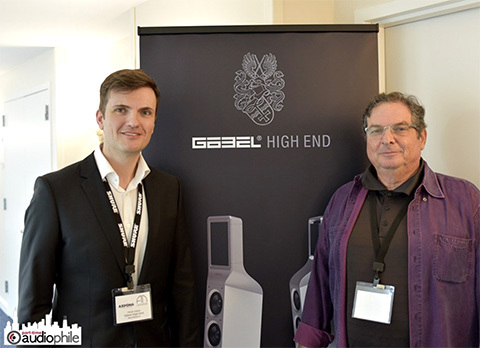 Ron Resnick from MonoandStereo.com published a nice show report and set of photos about the Munich High End 2018 show. Herein he also visited our Divin Majestic room in the Atrium 4.1/E115 and wrote his sonic impressions. Additionally he awarded us in his TOP SIX SYSTEMS OF THE SHOW list. Many thanks for it, we really appreciate it. some of the best sound at this very competitive show. - Some digital tracks just flowed out of the speaker in a very natural way. - Vocals were rich as smooth. from 10 - 13 May. Herein we will show the Divin Majestic loudspeaker in real piano lacquer black and black ultra matt details with real gold applications. 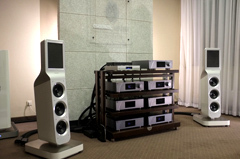 Together with CH Precision and Kronos Audio. Herein we will show the new Epoque Aeon Reference in real piano lacquer white. Together with Vitus Audio, Purist Audio Design and Hartwig Audio. We will exhibit on the upcoming AXPONA 2018 High End show from 13 - 15 April in Chicago. You are cordially invite to visit us in the room 594. 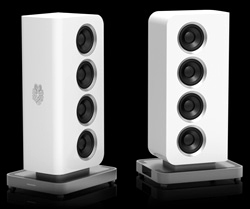 In a world premiere we will show the first time our new Epoque Aeon Fine loudspeakers. technology worldwide, we called it very self-confident Epoque Aeon! to really bring the music alive! That is and always was the passion of all our work! - +4 dB higher max SPL! only between a very narrow area! 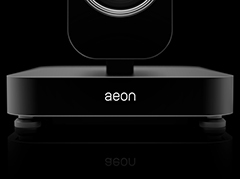 So now, you can drive the Epoque Aeon line with nearly every amplifier! report. 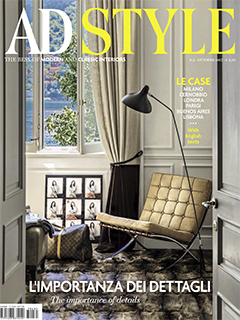 We are very proud to be part of this remarkable issue. this gorgeous and passionated written review, which we are thrilled to share with you below. complete audio part. 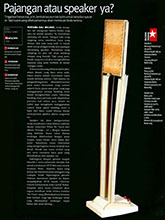 Lately it was also published in the Italian AD Style magazine. Many thanks, that we could be part of this great project. 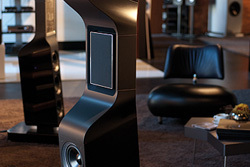 about our Epoque Fine loudspeakers. Attached you will find the complete review in Dutch. authenticity with which sounds, voices and instruments are displayed is breathtaking. 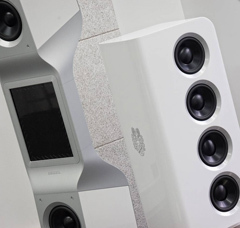 - This loudspeaker is an extremely revealing window and simply let you hear everything. 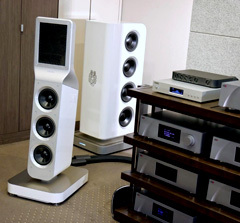 - Further noticeable, the Epoque Fine has a gigantic drive in the low frequency range. Hereby the sound stays perfectly balanced, but the power of the layering is phenomenal. We are happy to announce, that we will soon unveil our brand new loudspeaker line. This new loudspeaker line will be an addition to our existing Epoque loudspeaker line and will be more conventional on the first sight. But we of course massively used and applied our bending wave knowledge and technologies in order to bring the sound quality to perfection. We will firstly unveil our top model out of this new loudspeaker line with the name DIVIN. As a world premier the DIVIN will be soon unveiled on the 5th Audioexotics Super HiEnd show in Hong Kong from 8th till 9th July 2017. Many thanks Peter and Terry, we are deeply honored. Aber auch im klassischen Zwei-Kanal-Stereobereich gab es einiges zu bestaunen, was die Grenzen des Machbaren neu auslotete. Bei Göbel Audio beispielsweise spielten zwei übermannsgroße Säulen plus zwei massive Subwoofer – bestückt mit jeweils acht Chassis – an Elektronik von CH Precision. 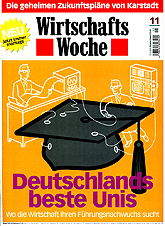 Das mag zunächst einmal den Eindruck von „sehr laut“ und „ultramassiv“ erwecken, doch das Gegenteil war klanglich der Fall. Ein Klang mit schwer zu beschreibender, geradezu unendlicher Leichtigkeit und Selbstverständlichkeit erfüllte den Raum. Und das nicht nur in bestimmten Frequenzbereichen, sondern über das ganze Audiospektrum hinweg. Göbel Audio dürfte damit, was Zwei-Kanal-Stereo betrifft, ein absoluter Maßstab für sehr viele andere Hersteller sein, die sich am obersten Ende einer virtuellen Klangskala tummeln. Many thanks Ingo Schulz for this great report. 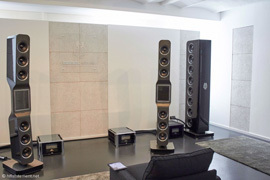 The internationally renown magazine parttimeaudiophile.com wrote a very nice report about our room on the Munich High End show 2017. Many thanks Dr. Panagiotis Karavitis, the editor in chief of this great magazine. Yes, that is what a true high end system costs these days and let me add it was also what a true high end system sounds like, visceral and transparent at the same time, even under show conditions. 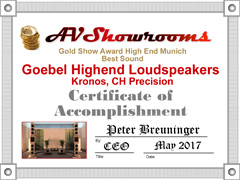 Key Kim from Stereotimes.com wrote a very nice report about our speaker system on the Munich High End show 2017. 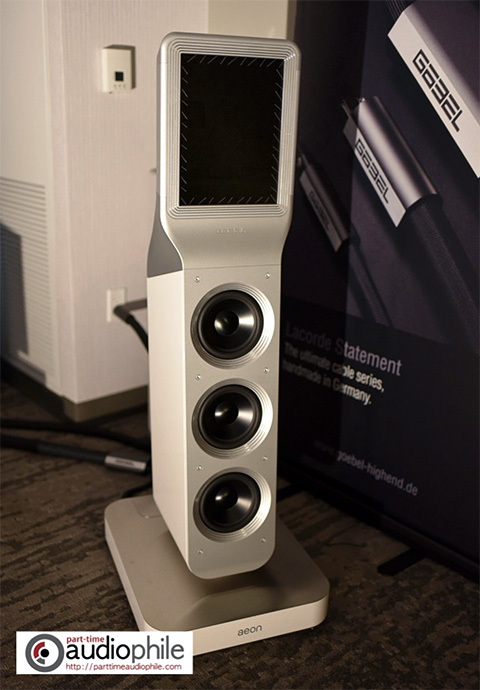 The Epoque displayed gorgeous sound with resolution, transparency, a natural timbre and a three-dimensional soundstage with powerful dynamics. Moiz Audio made an outstanding sound and video recording of our system during the Munich High End show 2017. Many thanks Mujtaba for your gorgeous work. As every year, we will exhibit on the upcoming Munich HIGH END 2017 show from 18 - 21 May. 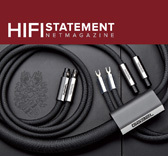 Dirk Sommer, the chief reviewer and editor of the audiophile magazin “Hifi Statement”, reviewed our new Lacorde Statement Ethernet, Lacorde Statement USB and Lacorde Statement Digital XLR cables. Sadly, I really don’t know how Oliver Göbel manages to do this, but I, as well as my visitors and my colleagues, clearly could hear it: Up to this point, any of the Lacorde Statement cables have definitely left my previous favorites behind by a wide margin! It is unbelievable how much more sonic pleasure you can get out of this single meter of cable within a high-resolution chain! For our presentation on the Warsaw Audio show 2016 we additionally won another “Best Sound of Show” award from the worldwide renown German loudspeakers magazine “Fidelity”. Many thanks for this award, we really appreciate it. 1. Göbel High End with electronics from CH Precision. Göbel High End was one of the rooms that you enter and you are immediately able to summarize: Yes, it has to be exactly like this! That's really, really good: no unnatural sharpness, a tremendous perceiving of the individual sound nuances, an incredible naturalness, plasticity and spatiality - acoustically the technology disappears completely. What remains is pure music and nothing but pure music. For us that is the very highest level! We are happy to announce, that we won the Best Sound of Show award for our presentation on the Warsaw Audio show 2016 from the internationally renown high end online magazine Hifi Pig. 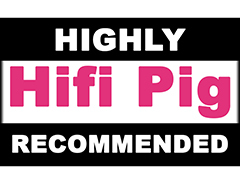 It is a great honor to receive this “Hifi Pig Loves You” award and we appreciate it a lot. It was a ‘chills and goosebumps’ moment and we both, and I am sure everyone else in the room, completely connected with the music. We will exhibit on the upcoming Warsaw Audio 2016 show from 4 - 6 November. We cordially invite you to visit us in conference room Krokus of the Golden Tulip hotel. During the Rocky Mountain Audio Fest 2016 in Denver our Lacorde Statement cables were nominated for the 2016 RIHPA awards (Rocky Mountain Audio Fest International Hifi Press Awards). 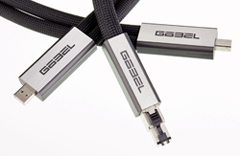 Our high end speaker cables were nominated in two categories! For the “Power cable” and for the “Signal cable” category. Many thanks to all the international press for your votes. After a long time of development, auditioning, CAD, pre-production and quality control, we are happy to announce that we finally extended our benchmark Lacorde Statement cable family and release our brand new Lacorde Statement Ethernet cable and Lacorde Statement USB cable. We are 100% sure that you will instantly fall in love with them. After his visit in our room at the 2016 Munich HIGH END show, Mujtaba from Moiz Audio awarded our system, which consists out of a pair of Epoque Reference loudspeakers together with two of our new active compact subwoofers Epoque Baforce Petite for “Best Sound of Show”. Our new active versions of the Epoque Baforce and Epoque Baforce Petite will result in an unbelivable realistic bass reproduction, which you have never experienced before. In the now also available “no compromise” active versions of our subwoofers Epoque Baforce and Epoque Baforce Petite, each bass driver has it’s own 250 Watt/sin. amplifier and is directly coupled to it. That means 16 times 250 Watt/sin. = 4.000 Watt/sin. in total for the Epoque Baforce. And 8 times 250 Watt/sin. = 2.000 Watt/sin. in total for the Epoque Baforce Petite. Hereby we reach a stunning high damping factor and get the best possible control over each bass driver. Additionally, we hereby also avoid influences through back EMI from the outset. The massively oversized power supply can shortly deliver 4 times higher peak current as the amplifiers will need at maximum level. Always controlled by a mirco controller to permanently have monitored secured conditions. 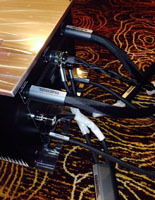 Everything mounted in the loudspeaker foot, which is milled out of a full block of a specific aluminum alloy in order to get the perfect control over EMI, crosstalk, heat dispersion and resonance patterns. We are happy to anounce that we finally extent our subwoofer range with a smaller, more compact subwoofer Epoque Baforce Petite. Instead of the 16 pcs. 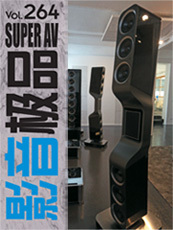 special developed ultra lossless 9 inch subbass drivers of the Epoque Baforce, we are using 8 pcs. of exactly the same ultra lossless subbass drivers in the Epoque Baforce Petite. Also, we are of course using exactly all the same proprietary technologies, like our stunning composite housing material, the impulse compensation and the multible bass array, wherein every subbass driver has it’s own closed chamber. Only everything in a more compact size. from 5 - 8 May. At this occasion we will also unveil some stunning new products. 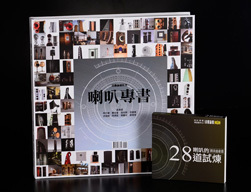 Wanted Component 2015 Award” and the “Publishers Choice Award”. “2015 has been a banner year for me as far as audio equipment is concerned. 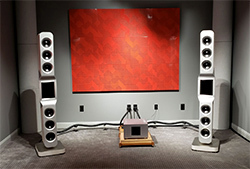 about our complete benchmark loudspeaker cable series Lacorde Statement. comes by way of a new loudspeaker, amplifier/preamp - never a mere cable. Lacorde Statement Digital XLR cables and Lacorde Statement Digital RCA cables. sively listened to a lot of good music in our auditioning room. 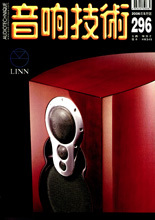 hardcover issue “All About Loudspeakers”. place in Hong Kong on the 11th July. our Lacorde Statement cables in one system. „Hifistatement.net“ visited our new auditioning room. Finally, our new auditioning room in our premesis in Alling got ready. On prior appointment, you are warmly welcome to visit us. reviewed our complete benchmark cable series Lacorde Statement. only in the mid frequencies, but subordinately in the high and lower range. 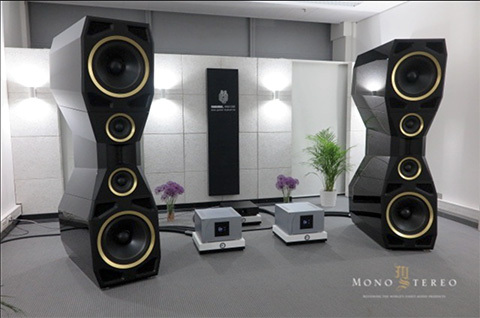 As every year, we will exhibit on the upcoming Munich HIGH END 2015 show. We cordially invite you to visit us from 14 - 17 May. highly respected title “Most Wanted Component 2014 Publishers Choice Award”. speaker cables, digital wires and AC cords I have ever heard or have encountered. show you more high quality photos in order to visualize our products better. 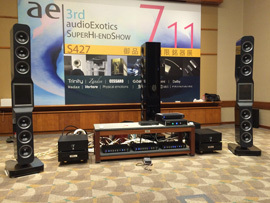 “audiotechnique” the worldwide unique “Hong Kong SUPER HI END SHOW 2014”. The system was completely wired with our Lacorde Statement cables. clean Low low are unheard of thus far. All other attributes are there in spade too. What more can any ask for but the price ... enjoy! pletely wired with our Lacorde Statement cables. 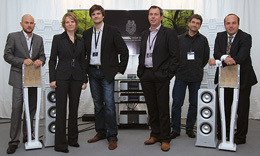 together with our ultimate subwoofer Epoque Baforce for “Best Sound of Show”. We cordially invite you from 15 - 18 May to the Munich HIGH END 2014 show. As always we will exhibit there some exciting new models. reviewed our benchmark cable series Lacorde Statement. woofer Epoque Baforce as “BEST SOUND”! 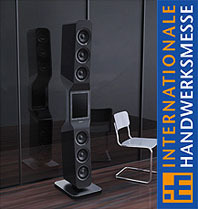 We cordially invite you from 9 - 12 May to the Munich HIGH END 2013 show. 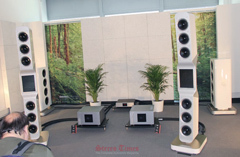 Göbel bending wave loudspeaker Epoque Reference at the RMAF 2012.
wave loudspeaker Epoque Reference at the RMAF 2012. Link to "The Audio Beat"
listen to our patented Göbel® bending wave loudspeaker systems and cables. 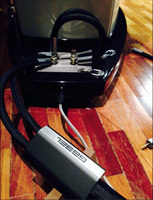 with our Lacorde cables to an outstanding amplification from Analog Domain. 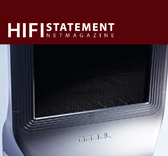 ment” reviewed our petite benchmark loudspeaker Epoque Fine. 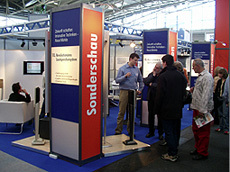 show in Munich from 3 - 6 May 2012. For the first time ever, our new reference class ultra high end speakers from the Epoque series will be shown on this most important show for audiophile enthusiasts. 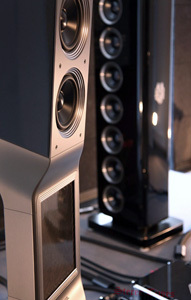 class luxury speakers of the Epoque series. 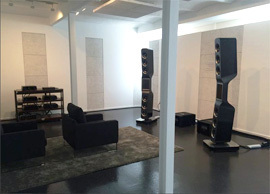 The address is: HiFi Studio Bramfeld, Bramfelder Chaussee 332, 22175 Hamburg. 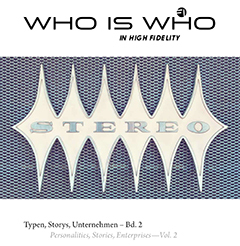 heard at the renown HiFi specialist Alex Giese HiFi & TV in Hannover. 2012 from 10.00 am - 16.00 pm. convince yourself of the outstanding sound reproduction. 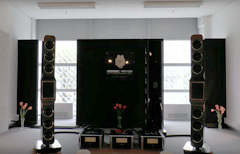 class loudspeaker „Epoque“ is Braunschweig in Germany. pm and to listen to their favorite music in a relaxed atmosphere. the creation of this loudspeakers that is „epochal“ to him. 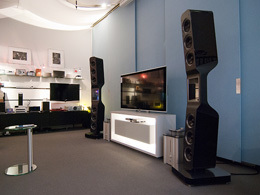 Straße 5, in 80333 Munich until 5 December 2011.
specialist retailers for sound and vision in Berlin open their stores until midnight. 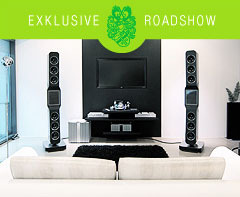 Exclusive roadshow with reference class loudspeaker series "Epoque"
sound reproduction of the patented Göbel® bending wave loudspeaker. sents parts of the new loudspeaker series “Epoque“ for the first time. 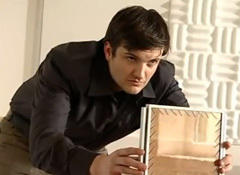 Göbel’s company movie: "Meilenstein der audiophilen Klangwiedergabe"
factoring process of our high end speaker systems. Unfortunately this movie is only in German language. 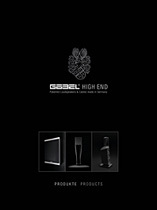 Finally, Göbel High End is now also on Facebook. Only click the “like” icon and you will always stay in contact with us. Forum of the stilwerk Berlin. and listening to relaxed music. 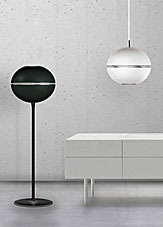 renowned products of the Detaille, Modul and Lacorde series. this year's HIGH END show in Munich. 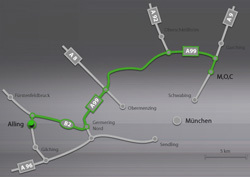 Munich) only 20 minutes from the exhibition center M,O,C. 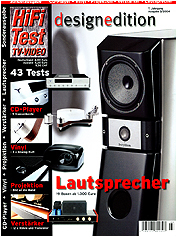 HD+TV (01/09) rates the new Detaille series "very good"
loudspeakers of the new Detaille Series. 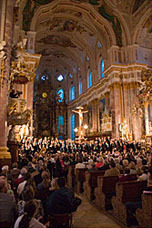 - “The stage emerges incredibly spacious, with all the instruments and soloists. which is unique regarding fine dynamics, dispersion and coherence." 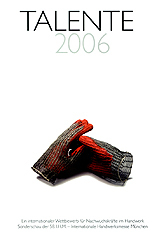 Detaille's technology had me wondering where I had been the past few years. cut incisions. The panel is housed in a metal frame. The grill attaches magnetically. 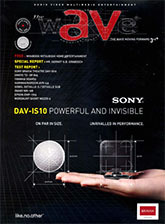 5kHz. How they do it? I got no idea. They also have wall hanging models available. ministry of economics with the research prize for future-oriented technology. furnished with the usual high-grade Neutrik® plugs. 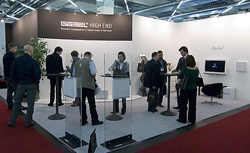 year's HIGH END show in Munich. smooth, so that the instruments are clearly separated. 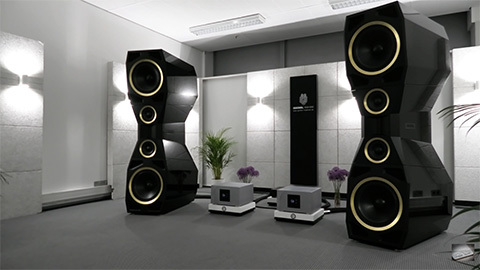 ventional loudspeakers. Yes, it is the loudspeaker system we waited for so long! We cordially invite you from 12 - 15 October 2007 to the Swiss home07 high end show in the hotel Seedamm Plaza in Pfäffikon. On 21 May 2007 the German national television channel "Bayerischer Rundfunk"
In case you haven't had the chance to visit our premises close to Munich you can watch the program and see behind the curtain of Göbel. birthday gift is good enough." 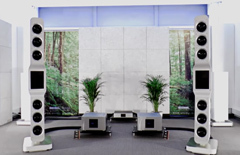 decision to commission Göbel with the development of the new Audiorama series. minutes from the exhibition center M,O,C. 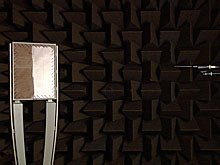 renown professor for electroacoustics at the university of Regensburg, Prof. Dr.
kinds of music, whereas both visitors pointed out a very good sound reproduction. tation of the "Liverpool Oratorios" by Paul McCartney. which shows many autobiographical tendencies of the former Beatles musician. 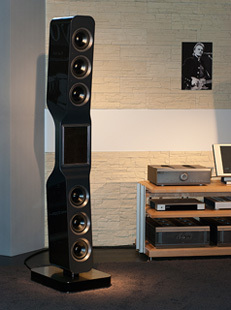 organ - is enabled by eight high-end loudspeakers of the Göbel Detaille Series. VIP-Lounge which is available to visitors of the circus spectacle "Africa! 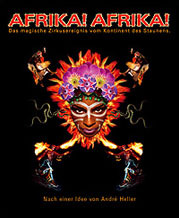 Africa!" by André Heller on the occasion of the main Grundig keyaccount incentive. sion, spectacular dances and breathtaking acrobatics. Keeping with the slogan "Kingdom of the impostors and paradise of lust for life"
Detaille series the appropriate audiophile soundscape. 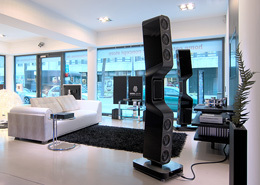 Munich with an audiophile sound system. Göbel has it's place of business. 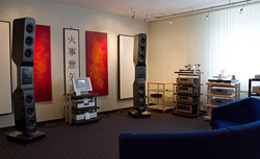 Göbel manufactures loudspeakers. Loudspeakers? - enthusiasts become ecstatic describing it. (...)"
Munich is entering the market for especially well trained ears. (...)"
the first time to the Hongkong and Chinese peoples. 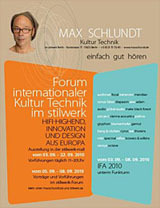 IHM 2006: Göbel wins award for technology at special exhibition "Talents"
devoted to the display and documentation of young designers' ideas. 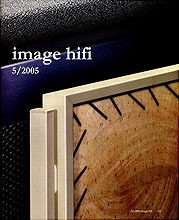 renowned magazine "Image Hifi" certifies, and the "Hifi Test Design Edition"
accompanying instruments are separated from one another and clearly audible. 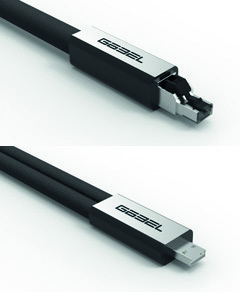 (recommendation: Göbel’s own cables) are capable of. 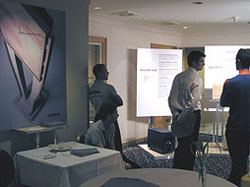 IHM 2005: Göbel at the exhibition: "Future - Innovative Technologies"
the newest generation of bending wave loudspeakers worldwide. sounds individually and separated, so that a stage appears in your mind’s eye. auditorium to one exact spot. (...) Well done for this successful debut! based on bending wave technology. nating purity of tone as well as the unique design of the new Göbel Detaille series. any compromises the company Göbel High End was established in 2003.
reliability and minimum possible tolerances. All Göbel High End products are and will be completely made in Germany!